Optimistic outlook on life is the key ingredient of a magical recipe for gaining internal satisfaction, peace and calmness. And in order to allow you inner positive energy reflects on your physical appearance, Avon has designed Anew Ultimate Supreme Dual Elixir that combines the force of advanced serum and 5 luxury oils. The serum contains black pearl extract, gold peptides and a high level of Celluvive skin rejuvenation complex. The serum operates within skin cells, stimulating their recycling system process in order to allow skin rejuvenate in full. Five luxury oils – argan and rose oils, Baobab oil, camellia seed oil and passion fruit oil feed lipid composition and fortify skin’s outmost structure from skin ageing caused by external damage. Magical effect of this mighty anti-age formulation of the serum and oils is reflected in its dual effect and twice as much power it provides in fighting the most advanced signs of ageing. Supreme results can be seen very quickly – increased skin’s firmness and elasticity, fewer wrinkles, rejuvenated and hydrated face skin. The elixir contains a fast-absorbing formulation and is suitable for everyday use. For quick results, apply elixir to cleansed face two times a day – in the morning and in the evening. Elixir was presented on Friday, October 14, in a specifically designed interior of the Dijagonala restaurant. 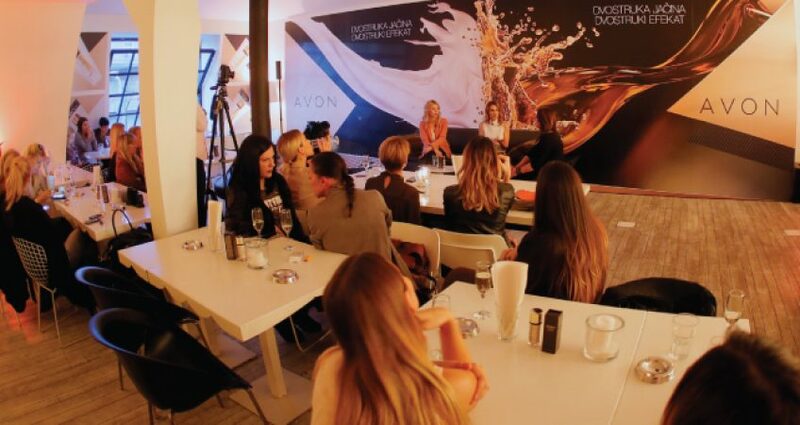 In addition to a number of media representatives, the event was attended by bloggers and Avon company representatives. Maja Nikolić, the face of the Anew campaign, took place as a moderator, and Slavica Squire, the first NLP trainer in Serbia and founder of the first NLP Institute, participated in the presentation.